To demonstrate the point, Danfort passes along two maps which claim to show the distribution of the “races of mankind,” with one map depicting Europe, the other the entire globe. The global map is particularly interesting. Source unknown, via Nicholas Danfort. Danfort doesn’t know the source of the map and it’s impossible, at least for me, to precisely date. (The fact that much of the text is illegible doesn’t help.) However, since the mapmaker indicates that the western part of what is today the Democratic Republic of the Congo is mixed between the “Indo-European” and “African” races, I’d guess the map was made before independence and the flight of the Belgian Congo’s white residents, so before 1960. This leads to another interesting facet of the mapmaker’s racial thinking — a marked triumphalism about white settler colonialism in Africa. Perhaps it’s useless to remark on, given that we don’t have any idea what percentage of a population that mapmaker uses as a threshold for a mixed region, or indeed when exactly the map was produced. But the mapmaker notably indicates much of what is today South Africa, Zimbabwe, and Mozambique as overwhelmingly populated by whites. (Though the map’s “Indo-European” class is wider than what we today think of as white, that’s likely correct description for contemporary Southern Africa; admittedly the mapmaker might include South Africans of Indian descent into this category.) Again, it’s unclear what precise distinction the mapmaker sees between the cross-hatched mixed and solid colored regions, but presumably this is intended to show a wide white majority in the latter. Enclaves on the coast of modern Angola and Namibia are colored solid red, as well. Other regions, like portions of modern DR Congo, Zambia, Uganda, and Kenya are depicted as mixed. While the low resolution makes it difficult to make out, here’s a modern political map paired with the historical map’s view of Africa. By the CIA World Factbook. Since it is unclear what year the mapmaker is referencing, it’s difficult to get into any specific numbers. Similarly, comparing the white populations of various African colonies and minority-ruled states is difficult, even before accounting for time. (The numbers below are drawn from different years, and are not well sourced.) But with these caveats aside, the mapmaker’s broad red brush paints a view of settler colonialism starkly different from the reality. In apartheid-era South Africa whites numbered over 10 percent of the population. Rhodesia, which would become modern Zimbabwe after a brutal liberation war, was dominated by a white population in the low to mid single digits percentage of the total, while whites comprised a few percent of modern day Zambia. White residents of the Belgian Congo seemed to have numbered 89,000 out of a population of 15 million on the eve of independence. While numbers are harder to pin down for Portugal’s African empire, something like 500,000 to a million mostly white Portuguese citizens fled the newly liberated colonies after 1974, out of a combined Angolan and Mozambican population of over 17 million. And while the mapmaker’s racial classification scheme obscures French settler colonialism in North Africa, in the 20th century the French portion of Algeria seems to have been roughly 10 percent. Overall white immigration to African colonies never approached that of European settler states elsewhere, and only rarely surpassed ten percent of the population. In most European colonies in Africa the percentage of whites was much smaller. For the map to “accurately” depict this reality the mapmaker must be using a very broad definition of racially-mixed regions, which, for example, the depiction of Black Americans within the United States suggests isn’t the case. (African Americans were over five percent of the population of select northern states in 1950; by the mapmaker’s apparent definition these states should be cross-hatched, assuming the map was produced at around that time.) Anyway, depicting South Africa as overwhelmingly solid red shows that the mapmaker is following two distinct standards: tiny white minorities receive the mixed classification, while broad African majorities do not. This is deliberate. The point is mapmaking is rarely an objective depiction of the world. Maps tell a story, and are often mobilized to support specific political projects. This map doesn’t only make broad pseudoscientific statements about race, but by exaggerating the white population of select African colonies seemly makes a political statement, likely in support of colonialism. Decolonization in Southern Africa and the end of South African apartheid was famously resistance to white minority rule. This map redefines South Africa and perhaps modern Zimbabwe as majority ruled, comforting an audience presumably sympathetic to white colonialism, and ignoring its victims. Unfortunately this destructive fantasy still has its adherents. What Is the Western Gaze? Comics writer and critic Sean T. Collins and artist Colin Panetta have an eleven-panel comic based on Max Fisher’s May Vox explainer “9 questions about Nigeria you were too embarrassed to ask.”* Fisher’s piece was published in response to the mid-April Chibok mass kidnapping by the militant group referred to as Boko Haram (which rose to international prominence in May in part due to the #BringBackOurGirls hashtag) and attempts to answer basic questions about Nigeria and the Boko Haram insurrection. Vox’s style of ‘explainer journalism,’ which was pioneered by both Vox founder Ezra Klein and its foreign affairs writer Max Fisher, is frequently criticized as simplistic or condescending. As a non-area specialist Fisher’s writing has been criticized by experts as misleading. Worse, Vox’s nominally non-ideological simplification of complex world events is often political, because simplification involves the politicized choice of what to leave out. A clear example of this problematic simplification is Yousef Munayyer’s convincing dissection of Fisher’s May post “40 Maps That Explain the Middle East,” which Munayyer writes presents a biased view of the 1948 Arab-Israeli War or, from Arab perspectives, catastrophic Nakba. While I am not a comics critic or Nigeria expert, my read of Collins and Panetta’s comic suggests a similar critique. The comic focuses on the first entry in Fisher’s question-and-answer article, superimposing the question “What is Nigeria?” over a hashtagged placecard, Western news show, American currency, oil tanker, US Air Force drone, and bloody concrete room; notably, the images read as increasing in lethality. “What is Nigeria,” in Collins and Panetta’s artistic paraphrasing of Fisher, is a question answered through a Western lens, centered around Western concerns, and reduced to Western cultural, economic, and military power. The final panel — the question “I skipped to the bottom. What happens next?” — brings this view back to Vox and Fisher’s perspective, reducing Nigeria the country to the West’s impingement on its 170 million inhabitants. While not mentioned in her piece, on Twitter Fisher sarcastically commented that Kendzior was demanding that audiences “pass a test” before caring about Ukraine. My response fell somewhere in between Kendzior and Fisher (who was then at the Washington Post). ‘Caring’ about foreign suffering is not a value-neutral act, because concerned voters can drive policy. But it is also true that the vast majority of foreign affairs watchers consume news as an entertainment good; the average BuzzFeed reader or cable news watcher consumes it even more casually. News outlets are expected to cater to this audience, and so does Fisher’s breezy, 101-level explainers produced for an audience only willing to learn as long as learning is centered around them and their morning coffee. Even to a non-expert like myself there are many problems with Fisher’s Nigeria explainer: it is flattering to audiences who know nothing, is focused on conflict, reduces the country to a north-south religious divide that many experts deny, and tends to cite Western experts and journalists. But I’m not convinced it deserves the critique Collins and Panetta raise. Many of Vox’s readers cannot find Nigeria on a map, and it’s not wrong for Fisher and other explainer journalists to try and answer basic questions about the country when conflict make it relevant to Western readers. And far from reducing Nigeria to dollars, drones, and oil — not that these things are irrelevant; Nigerian government revenue is heavily dependent on oil and US military contributions to the hunt for the kidnapped schoolgirls has included ISR aircraft — Fisher does offer a reasonably broad look at Nigeria’s recent history, social conflicts, and the tangled roots of the Boko Haram insurrection. All of this may be written through a Western lens for Western audiences, but that is overtly what Fisher aims to do. Fisher’s habit of featuring music from the countries he is profiling may be trivial and arguably a bit condescending, but it also pushes back against the tendency to reduce countries and peoples to only conflicts and hashtags, a tendency the comic appears to criticize. If a mildly-interested reader wants to learn more about the country the #BringBackOurGirls hashtag, and its arguable Western appropriation, thrust into the news cycle, I’m not sure what Collins and Panetta would prefer. Sure, if you actually want to seriously study Nigeria Vox is not the place to start, but there are many, many people who don’t want to invest hours or a career examining the country but still read the news. How this indifference affects US policy is another question, but I’m not sure Fisher’s writing is the best way to frame it. *Fisher’s piece cites a piece by Will Moore at Political Violence at a Glance, which I edit. Update: Collins has a comment explaining his criticism of Fisher in greater detail, which focuses on Fisher’s tone, lack of empathy, and othering of Nigerians than the Western-centric simplification my piece addresses. South African Air Force Saab JAS-39 Gripen. Photo by Wikimedia user NJR ZA. In a March piece at War Is Boring, journalist Peter Dörrie examined a number of African states’ ballooning defense acquisitions. In an apparent puzzle given these countries’ impoverished populations and past difficulties maintaining advanced military equipment, these purchases include big-ticket items like advanced fighter aircraft. While this trend appears to be partially driven by both increased government revenues and recent stability that allow African states the resources to purchase expensive weapons as well as a desire to increase their regional power projection abilities, I recently speculated that these aircraft purchases are also driven by a desire for status and prestige. Militaries’ operational effectiveness is dependent on institutional resources that are often difficult to build. The ability to destroy enemy forces and seize objectives rests on factors like frequent and realistic training, motivated soldiers, sound doctrine, and an educated, independent officer corps as well as equipment like aircraft. But many of these traits take decades to construct, and cannot be simply paid for. Unlike actually building effective, well-trained, and capable military forces, high-profile purchases of impressive fighter aircraft present an attractive shortcut to governments seeking to quickly bolster military status. But all these capabilities require fighter aircraft to be used effectively, an effectiveness that has steep barriers to entry. As Darren Olivier writes in a review of Angolan fighter acquisition, airpower is based on equipment, people, and processes, and “shortcuts have not traditionally worked.” Fighter aircraft may be among the most highly visible and prestigious faces of airpower, but if they are treated as a shortcut, short is how they will come up in combat. First, many of the aspirant regional powers acquiring modern fighter aircraft are only purchasing limited quantities. For example, in Africa on paper South Africa fields 26 Swedish-manufactured Gripen aircraft. Angola has stated that it expects to purchase 12 Russian Sukhoi Su-30K fighters; the Su-30 family is one of the highest performance fighter aircraft in the world, with long range, extreme maneuverability, and aerodynamic performance considered better than any US fighter but the F-22. Algeria has 28 Su-30MKs, with more on order. In South America, Brazil plans to buy 36 Gripens, and neighboring Venezuela currently fields two dozen Su-30MKs and a number of American-built F-16s that as of 2005 were difficult to maintain due to a shortage of spare parts. The Royal Malaysian Air Force flies 18 Su-30MKs, in addition to a smaller number of American F/A-18s. These numbers are not surprising, given the extreme cost of not only acquiring but also maintaining advanced aircraft. Notably, smaller NATO members such as Denmark and Portugal have roughly comparable numbers of advanced fighter aircraft. But these numbers also raise many operational issues, even for regional powers able to devote their entire fleets to a single-theater conflict. Assuming a fifty percent readiness rate — which I would guess is fairly optimistic — in the event of a conflict Venezuela’s 24 Su-30MKs are, in practice, a dozen aircraft. These fighters can’t be everywhere at once, and this isn’t even accounting for combat losses. The suppression of enemy air defenses mission, or neutralizing air defense systems like surface-to-air missile installations, is notoriously difficult and dangerous for even advanced air branches. Given the proliferation of anti-air weapons, will ill-trained air forces flying advanced jets be able to operate in environments where air defense put them at risk? Similarly, how effective are these aircraft’s pilots? As Dörrie notes in his piece, South Africa’s Gripens rarely fly due to prohibitive operational costs, meaning that their pilots aren’t getting the flight time to stay sharp, and certainly not the realistic, challenging training necessary for combat effectiveness. If aircraft rarely fly, are maintenance crews getting the practical experience necessary to solve problems and get aircraft flying in wartime? And without practical exercises, how can military doctrine best incorporate advanced aircraft’s real-world capabilities? States unable to bear the costs of routinely flying their prestige fighter aircraft in peacetime will pay a serious price for this lack of experience in combat. While these costs aren’t included in the sticker price of fighter acquisition, for all practical purposes they are a major addition to the barrier to entry blocking states’ access to effective air operations. Finally, all this assumes that military and civilian leaderships are even willing to risk expensive combat jets. If the acquisition of these prestigious assets is motivated by statues-seeking, this may not be the case. Not only are these aircraft extremely expensive; downing one would be an enormous propaganda coup in wartime. If leaders can realistically assess the risks of flying precious fast jets, they may decide to not use them at all. If this is the case, then the real military value of high-profile fast jet acquisition by aspirant regional powers is close to zero. Algerian Su-30MKA. Photo by Wikimedia user Ardastos. Last month, Peter Dörrie took a fascinating look in War is Boring at the weapons shopping spree going on in Africa. Across the continent, a number of countries are spending heightened oil revenue on new, high-profile military acquisitions — for uncertain goals. It isn’t just that countries like Algeria, Angola, and Uganda could better serve their impoverished citizens by spending resource income on bolstering public institutions or development projects. Instead, these acquisitions, which include advanced Russian-sourced fighter aircraft, serve little obvious immediate military need. But why would African states purchase costly arms that appear out of step with their practical security needs, and that they are unlikely to be able to effectively maintain anyway? Restricting the question to just fast jets — “the crown jewels of Africa’s air arms,” in Dörrie’s words — several explanations arise. The first is the simplest. As Dörrie notes these states do perceive themselves as having real military need for airpower. African military acquisitions are also likely partially due to an arms race dynamic, where one state’s newly-acquired military advantages give its neighbors a powerful incentive to match it on the battlefield. This dynamic can play out even when two states are not rivals. For example, Brazil’s decision late last year to select the Saab Gripen NG as the culmination of a long-delayed fighter acquisition program seems partially driven by neighboring Venezuela’s 2006 purchase of Sukhoi Su-30MK2 fighters. Venezuela and Brazil have no serious rivalry; while the Brazilian government may be worried by political instability next door, former president Luiz Inácio Lula da Silva, whose anointed successor is the current Brazilian executive, publicly endorsed Venezuela’s current administration in the last election. Secondly, while the weak states, internal conflict, and decrepit economies that characterized most of post-independence Sub-Saharan Africa meant that only a few of the region’s countries, most notably apartheid-era South Africa, could afford to build formidable militaries, today this is no longer the case. (It has been argued that these weak states also discouraged interstate war by giving everyone an incentive preserve a norm discouraging territorial conquest and secession, which could further discourage weapons purchases suited to interstate warfare.) Growing economies and resource booms have given more African governments the fiscal ability to invest in expensive weapons — it is no surprise that of the states Dörrie lists Algeria and Angola are major oil exporters, and South Africa was until recently seen as Africa’s largest economy. This leads to the most interesting explanation for Africa’s fast jet purchases: prestige. Beyond their practical role in credible posturing and power projection, advanced combat aircraft are enormously prestigious military assets, making them a useful tool for status seeking states. Few states have the resources to maintain fleets of modern fighter aircraft, whose allure grants them public attention outsized compared to their military impact. For countries without major navies, it isn’t wrong to view fighter aircraft as flagships. This is particularly true of the Sukhoi Su-27 derivatives highlighted in Dörrie’s report. Sukhoi Su-27 variants and derivatives — in NATO parlance, “Flankers” — are a family of extremely formidable Russian multirole aircraft with its origins in the closing decades of the Cold War. Designed to counter advanced Western fighters over the Cold War battlefield, since dissolution of the USSR the Su-27 and its many, many derivatives (the aircraft family is notoriously confusing) have found wider success on the global export market than their European rivals. For numerous reasons, the Su-27 family has proven popular among poorer states than its Western rivals: in Africa, the Su-27 is flown by Angola, Eritrea, and Ethiopia, and the Su-30 by others. This isn’t to discount the aircraft’s abilities, which by most accounts matches or exceeds Western 4th generation fighters. But the family’s buyers are an interesting demonstration of the role of prestige-seeking in military acquisitions. Effective military organizations are extremely difficult to build, because military efficacy is not only determined by equipment. Other determinants of a military’s ability to effectively operate, like doctrine, training, an educated, politically independent officer corps, and so on, are far harder to buy. For states that find themselves unable to make the society-wide reforms necessary build these institutional resources, highly-visible acquisitions can provide a shortcut to international military prestige. This shortcut is particularly available for oil states, who are able to channel funds more or less directly from oilfields to arms exporters, and states whose aircraft are piloted by foreigners — during the 1998-2000 Eritrean-Ethiopian War aircraft were famously flown by European pilots, for example — where fielding advanced combat aircraft boils down to essentially writing a check. Of course, buying advanced aircraft without investing the time and resources to build a similarly capable military organization does not translating into combat effectiveness — or “effectiveness” at anything, as the clumsy Malaysian response to the disappearance of Malaysian Airlines Flight 370 has shown. As Dörrie writes, many African states have had trouble maintaining their air equipment, and training their pilots. But even if African states prove unable to keep sophisticated aircraft combat-capable, these acquisitions are still worrying. Most obviously, prestige military purchases divert funds that could be better spend on development and providing social services. But that isn’t the only worry. When you have a hammer, nails, and so on. Correction: I originally listed Sudan as an oil exporter; after the secession of South Sudan its oil production has fallen significantly. Violent unrest in the Central African Republic continues. Nearly a million people have been internally displaced, nearly 60 percent of of the capital of Bangui have fled their home, and UN officials warn that half of the country’s population require immediate aid. Rural areas are reportedly nearly devoid of medical professionals, who have fled to the capital. The current unrest in the landlocked central African country escalated in March of 2013, when a diverse rebel coalition termed Séléka seized the Bangui and overthrew President François Bozizé. Fleeing the country, Bozizé was replaced as president by rebel leader Michel Djotodia (who may step down shortly), who in September disbanded Séléka but lost control of the disaffected fighters. Since then former Séléka rebels have rampaged through the countryside, opposed by anti-balaka, or anti-machete, militias. The conflict is frequently characterized as religious in nature: CAR is roughly 50 percent Christian and 15 percent Muslim, with both interim President Djotodia and most ex-Séléka fighters belonging to the country’s marginalized Muslim minority. “We will kill all the Muslims, and we will kill all of your livestock,” one militia leader reportedly told captured Muslims. Citing fears of “genocide”, French and AU forces deployed to the country to halt the violence in early December under UN authorization with the goal of disarming both ex-Séléka fighters and militias, with the French occupying Bangui and Defense Minister Jean-Yves Le Drian promising an “end to impunity” for militants. However, the violence has continued and French popular support for the military intervention in CAR is declining. Regardless of how or how not religiously motivated the conflict is, this logic recalls an argument about Sub-Saharan African state formation advanced by Jeffrey Herbst in his book States and Power in Africa: Comparative Lessons in Authority and Control. After gaining independence from European colonial empires, Sub-Saharan African leaders made the deliberate decision to retain the hard colonial borders and most often capitals, even when these administrative units did not reflect local realities. Since postcolonial states were often weak, “basing boundaries on what each state actually controlled would result in the territory of most states becoming smaller,” something self-interested leaders unsurprisingly sought to avoid. While this decision preserved the established means of state control and forestalled the possibility of destructive, boundary-redrawing interstate warfare, it, combined with the postwar consensus that states no longer have to earn their sovereignty — or the “overly optimistic hopes that domestic control and legitimate authority” follow sovereignty — left postcolonial African states unable to exert control over their nominal territory. Postcolonial governments also suffered military coups, and many African countries housed long-running insurgencies or independence-minded regions only nominally under state control. Interestingly, “African politics were the exact opposite of traditional political science models of domestic and international politics: the politics between countries was extremely well ordered (as opposed to the Hobbesian model of international relations), while domestic politics did not evidence many signs of stability.” With interstate warfare and violent boundary redrawing relatively rare in postcolonial Sub-Saharan Africa, leaders faced much greater danger from within than without. Because of the dual challenges of weak states and the desire to avoid interstate conflict, the Organization of African Unity made the deliberate decision to award international legitimacy to any government that controlled a country’s capital city, regardless of how it came to power or how much territory it actually controlled. This offered African governments the benefits of international recognition while avoiding the costly need to exert control over their entire countries — something that was impossible for most African states, anyway. “Large countries such as Ethiopia, Zaire, and Angola at various times did lose control of parts of their territories to opponents,” Herbst writes, “but the international community always recognized whoever controlled Addis, Kinshasa, and Luanda as the unquestioned leaders of those territories.” This consensus was popular with the international community — not only did it support the postwar goal of preventing interstate war, but benchmarking legitimacy around control of the capital and its flashy public buildings simplified the narrative of postcolonial Africa into 50 or so sovereign states. If Bangui really is the prize in CAR, this dynamic reflects the legitimizing power of control of the capital city. While Séléka’s victory was widely condemned and regional leaders were initially reluctant to recognize Djotodia as transitional leader, control of Bangui is a powerful legitimizing force for the interim government. Photo by Flickr user Jose Luis Cernadas Iglesias, via Wikimedia. Does Angola want to purchase the former Spanish aircraft carrier Príncipe de Asturias? A recent piece by veteran defense reporter David Axe suggests that Angola may be interested in acquiring the STOVL carrier decommissioned from Spanish service early this year, but the rumors are probably untrue. Axe concludes that “no, this does not make a lot of sense,” and notes that the carrier would require nearly all of the Angolan Navy’s manpower to operate. The piece is sourced to the Portuguese-language defense blog Pássaro de Ferro, which in turn cites a report in the Spanish newspaper El Confidencial. Pássaro de Ferro claims that the carrier — which would otherwise be scrapped — may be sold to Angola as part of an acquisition that would also include four Spanish patrol vessels and would be refitted in Spain, though the piece admits that the news has not been confirmed by official sources. El Confidencial bases the story on the reported visit by two Angolan admirals to Spain to inspect the ship, but also acknowledges that Spanish Navy spokespeople have not commented on any potential sale. Robert Farley dismisses the story as “too crazy to be true,” but admits that “watching Angola build not only a navy but also a naval aviation branch from scratch would be remarkably interesting.” In the comments on Farley’s piece many note that the Angolan government is flush with oil revenue, which may lead it to judge itself capable of operating a carrier. In particular, commenter LFC of the IR blog Howl at Pluto writes that “this acquisition (if the story is accurate) is not as insane or unlikely as R. Farley suggests … Rulers and [governments] care about status, and weapons — even if operated on a somewhat token basis due to shortage of trained personnel etc. — continue to confer status.” While given the story’s uncertainty I agree that Angola is unlikely to actually acquire and operate the Príncipe de Asturias, LFC has a point. Aircraft carriers are potent status symbols, and for many regional powers — especially those not operating within a capable military alliance — the draw of acquiring a carrier is this symbolic value, rather than any real capability gain. If these countries are interested in defending their maritime interests, it makes far more sense to invest in submarines rather than second-hand Western carriers, which are optimized towards power projection. But submarines are — literally — far less visible than carriers. For governments seeking to solidify their status as widely-recognized emerging powers, this visibility is very important. Like the Russian Admiral Kuznetsov, both Thailand and Brazil’s aircraft carriers are far more important as status symbols than as practical military assets. In Brazil and Thailand’s case, neither of these countries are interested in actually projecting power, and Thailand’s carrier is often disparaged as a “royal yacht” due to its frequent duties transporting the Thai royal family. While this purpose is less blatantly visible elsewhere, other regional powers’ carrier aspirations are similarly best thought of as “state yachts” — expensive, high profile status symbols whose prestige is far greater than their military capabilities. While Angola may or may not be interested in acquiring the Príncipe de Asturias, I think it is reasonable to assume that many navies in the developing world will seek to acquire and operate carriers in the years to come, if for prestige alone. Given the challenges of naval aviation, this is likely to be a bloody process. 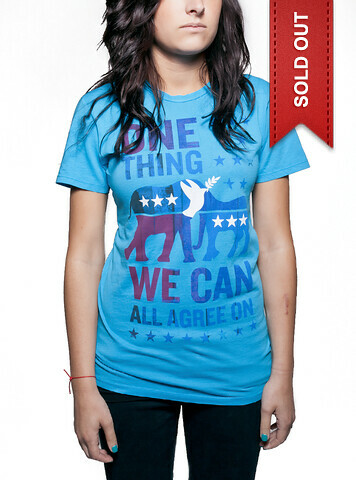 Earlier posts on Invisible Children’s Kony 2012 campaign here and here. 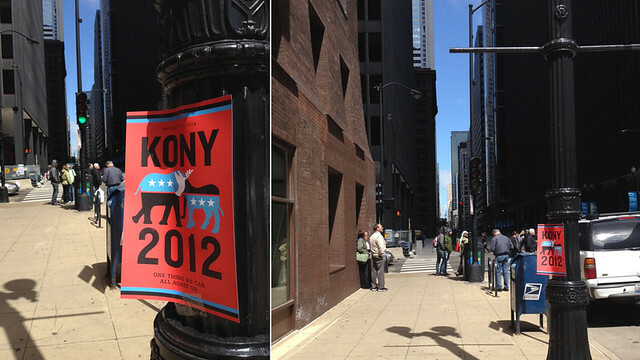 From Jezebel, Invisible Children’s ‘Cover the Night’ event, intended to draw massive public attention to Joseph Kony and increased lobbying for American military invention in central Africa, was less a bang than a wimper — Jezebel reports seeing one “Kony 2012” flier in Chicago. In San Diego, I spotted one yesterday at the San Ysidro border crossing, and a friend a single letter-sized poster downtown. Remember, Invisible Children’s founder attended UCSD, and the organization is based in San Diego: if ‘Cover the Night’ was a non-event here, it likely was everywhere. I legitimately do not understand why Invisible Children scheduled their flagship event — remember, the famous ‘Kony 2012’ viral documentary was at its core a instruction video for ‘Cover the Night’ — on April 20th, America’s unofficial celebration of weed. Invisible Children is a college campus-centered movement, and the liberal college campuses most prone to grassroots organizing also tend to take note of 4/20 — presumably the audiences overlap. I’m not claiming the ‘Cover the Night’ would have done better if it was scheduled on another day, but why compete? Did IC not believe that 4/20 would have a detrimental effect on activists’ enthusiasm for hanging posters? Or was Invisible Childrens’ evangelical-leaning leadership not aware of April 20’s implications? Any ideas? I’m very curious. Update: A friend in Santa Monica just told me that there’s Kony 2012 posters all over LA. Anyone outside SD or LA have updates on their city? 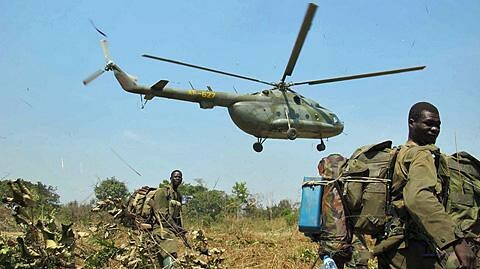 Ugandan military operations. Photo by Voice of America. This an explicit call for an indefinite deployment of US combat troops to a foreign war zone. Adopting a withdrawal strategy conditional on Kony’s capture or death removes the Obama and later American administrations’ control over US involvement in the conflict: because a strict advisory mission relies on the Ugandan People’s Defense Force to actually kill* Kony, the US has no ability to directly influence the mission’s success and consequent withdrawal timeline. This open-ended commitment without the force level necessary for a reasonable likelihood of success is a path to an indefinite US combat presence in Central Africa. If the Ugandan military is unable to quickly end the conflict — past experience suggests that the UPDF does not have the operational capability to do so — then the temptation to escalate the war will threaten to push the US into the conflict at a level it never originally intended. As Michael Wilkerson recently alluded to in Foreign Policy, when the UPDF fails to neutralize the LRA, Invisible Children’s advocacy for only ‘advisory’ missions will be replaced by impassioned calls for the drone strikes and bombing campaigns necessary to “end the war”. Invisible Children — and by extension the activists they’ve mobilized — have simplified the public narrative of Central African conflicts down to Kony the individual, and capturing or killing him is the only successful endgame this narrative leaves room for. In Invisible Children’s telling, the only reason Kony and the LRA continue to exist is Western apathy, not the real military challenges of battling irregular forces in unforgiving terrain. If the Obama administration’s current deployment to Central Africa and Uganda can’t force an end to the conflict, escalation is the only policy response with a place in Invisible Children’s distilled narrative of Kony as the exogenous devil — if military advisers weren’t able to bring Kony’s end, it must be because Americans just didn’t care enough. Invisible Children’s founders either don’t understand this danger or don’t care. Grounding their narrative in “stopping at nothing” to “end” — read win — the military conflict with the LRA binds IC to endless escalation. Ultimately there’s no reason to suspect that US combat advisers are a magical solution able to end the multifaceted and endlessly complex, decades long conflict in Central and East Africa. The entire US military was unable to “end” the sectarian civil war in Iraq, and has failed to “end” the insurgency in Afghanistan. In the eyes of many of Invisible Children’s liberal supporters, the US military’s conduct in Iraq and Afghanistan is at best incompetent. Why should military force suddenly be more effective in Central Africa? US Special Operations Forces are enormously lethal, but moral certainty doesn’t simplify the “wicked problem” of counterinsurgency. The LRA is a perhaps a simpler problem than other insurgencies — it appears to enjoy less indigenous support than other comparable forces, and is not supported by a powerful exogenous backer — but it’s still a ‘wicked problem’, and no war is actually simple. Given the enormous problems facing US military advisers operating with Ugandan and Central African militaries, IC’s blind faith in the efficacy of violence is irresponsible and myopic. “IC appear to perceive military force as some sort of silver bullet – pull the trigger, solve the problem, walk away like Clint Eastwood,” King’s College’s Jack McDonald remarks. “It never has been, and it never will be. If IC want to see the expansion of US military activity, then they should say so.” Invisible Children’s campaign never mentions the costs and risks of US operations against the LRA. These omissions and reliance on best case assumptions aren’t forgivable given IC’s mission to increase “awareness” — more Americans were ‘aware’ of the civil war in Somalia after the US-led Unified Task Force was ordered to southern Somalia in 1992, but that didn’t prevent the American intervention in the country from developing into an ill-conceived disaster. In addition to American lives, increasing AFRICOM’s presence in Africa comes with consequences many of IC’s supporters likely wouldn’t approve of. Any US effort to kill or capture Kony would be dependent on Camp Lemonier, a rapidly expanding US miliary base in Djibouti. Liberals often complain about the US military’s massive presence around the world. But you can’t have it both ways — if the United States draws down its foreign basing it loses the ability to conduct many military interventions, even the ‘just’ ones interventionists like Invisible Children champion. Mobilizing American voters to lobby for foreign interventions is not novel — after all, it’s a tactic that the neoconservative wing of the Republican party is deeply familiar with. But it is a dangerous one. While citizens’ voices should clearly play a role in the foreign policy process, the viability of activist campaigns like Invisible Children’s rests on their ability to create a simplified narrative of good and evil palatable to an uninformed audience. Unfortunately, the real world doesn’t follow these rules of showmanship. “Invisible Children has turned the myopic worldview of the adolescent — ‘if I don’t know about it, then it doesn’t exist, but if I care about it, then it is the most important thing in the world’ — into a foreign policy prescription,” notes Kate Cronin-Furman and Amanda Taub at The Atlantic. Invisible Children’s aim to raise awareness among Americans isn’t harmless when it’s integrally packaged with war advocacy. Unfortunately, just because Invisible Children doesn’t offer any coherent argument why an intervention to destroy the LRA would be any easier than other, failed, US foreign adventures doesn’t mean their lobbying won’t be effective. Where will IC’s precedent lead? “Will simplistic explanations of long-running wars, delivered in a Facebook-friendly manner become the future of foreign policy?” Jack McDonald wonders. “If Angelina Jolie in combination with Condoleeza Rice are to dictate American strategy, then restraints to force will disappear into a blur of ‘Let’s go get the bad guy’ activism that is almost entirely ignorant of the second and third order effects of those decisions.” The LRA is a destabilizing force, but it’s not clear that any practical method of combating them is any better in long-term. There is strong reason to believe “advising”, or worse arming, African governments with long histories of war crimes and disastrous foreign adventures is a worse long-term policy than tolerating the waning problem of the LRA. Of course, tolerating evil is a truly awful thing to advocate. But the desperate urge to “do something” without acknowledging consequences and the refusal to consider anything less than unprecedented best case scenarios is reckless. *In a perfect world Kony would be tried before the ICC. But few rebel commanders captured in combat by less-than-professional forces survive to the safety of international custody, IC’s emphasis on “capturing” Kony aside. Invisible Children’s effort to stop war criminal Joseph Kony is the cause of the day, with their ‘Kony 2012’ video –released on Monday — already at over 7 million [update 3:00p Thursday] 40 million views on YouTube. The viral campaign, designed to raise awareness and support for further US action targeting Kony and his Lord’s Resistance Army, has been remarkably successful: my Facebook and Twitter feeds are dominated by students reposting the video and calling for America to bring Kony to justice. 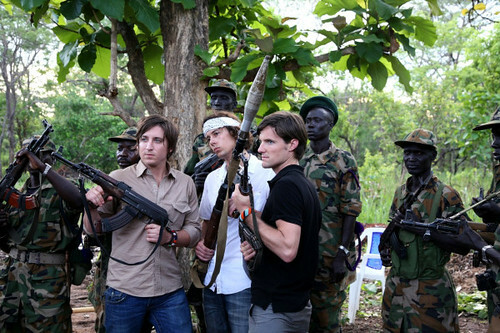 Invisible Children is explicitly calling for an increased US military presence in central Africa: according to the Invisible Children website, the goal of the ‘Kony 2012’ campaign is that the US combat advisers dispatched to Central Africa last October “support the Ugandan Army until Kony has been captured and the LRA has been completely disarmed.” Despite the organization’s peaceful aim to “inspire young people to help end the longest-running armed conflict in Africa”, it also advocates more kinetic options: Invisible Children has funded central African military forces and rebel groups and favors direct military intervention to kill or capture Kony. “I completely agree that Kony needs to be brought to justice,” Morehouse College’s Laura Seay remarked this morning, “but nothing about this IC campaign will make that happen.” Seay’s critical view of the Kony 2012 campaign isn’t unique. “It is hard to respect any documentary on northern Uganda where a five year-old white boy features more prominently than any northern Ugandan victim or survivor,” Mark Kersten pointed out at Justice in Conflict (via Lauren Jinkins). These criticisms are all valid, and the organization’s apparent preference for generating media attention over actually helping Africans is troubling. But what’s much more dangerous is Invisible Children’s breathless advocacy for US intervention in Central Africa without offering offering any critical view of how risky this intervention could potentially be. I’m not arguing that IC’s founders and supporters’ hearts aren’t in the right place — Kony is a monster, and one that deserves to be killed. But their best-case assumptions, faith in the effectiveness of violence, and complete disregard for half a century of ill-fated US interventions in civil wars is enormously irresponsible. Make no mistake, dispatching US combat advisers to intervene in a civil war isn’t peacekeeping; it’s an American war. The frequent pleas for the US to enter conflicts to ‘stop war’ are nonsensical: American intervention at any level can only end conflicts by winning them. Unfortunately it’s not clear if advisory missions to Central Africa or even direct SOF involvement is capable of capturing or killing Kony at an acceptable level of US involvement. It’s also important to remember that any level of US involvement in a dirty, decades-long African conflict will be distasteful. The LRA extensively use child soldiers, and combating the LRA means treating children as legitimate military targets, a reality that will be difficult to explain to US audiences watching graphic news reports of maimed kids. As I’ve argued before, wars should not be fought for idealism or the desire to ‘do something’ in the face of atrocities. As Peter J. Munson recently noted, “war and military force is a brutal and imprecise instrument. It is ugly, destructive, wasteful, and stupid.” Wars are always costly and always risky. The United States should only enter foreign conflicts if advocates of interventions can clearly articulate a realistic exit strategy from the conflict without relying on best case assumptions, and why the expected benefits of victory outweigh the risk and expected costs. Civilian deaths are awful, and it’s impossible to begrudge the desire to ‘do something’ to halt the slaughter of conflict. What is not forgivable is irresponsible advocacy of war without a clear-eyed assessment of its costs. The United States has no clear path to victory against the LRA, and while a stable Central Africa is certainly in the general interest of the United States, it is much harder to argue that this long-term goal merits US entanglement in a decades-long civil war. Kony is a monster, but the United States has no moral imperative to hunt down war criminals. IC’s attempts to portray Kony as an exogenous cancer that can be cleanly removed from Central African society is misinformed at best. This morning Mark Kersten noted that “some reports suggest that the majority of Acholi people continue to support the amnesty process whereby LRA combatants – including senior officials – return to the country in exchange for amnesty and entering a process of ‘traditional justice’.” Even in the immediate-term efforts to kill or capture Kony would be difficult. The LRA is a highly experienced fighting force, and while it draws less local support than other insurgencies, its intimate familiarity with the terrain is a significant operational advantage over US SOF and allied militaries. While the lethality and coordination between US special operation forces and intelligence agencies have improved since the failed 2008 ‘Operation Lightning Thunder’ targeting Kony, operations against the LRA would be difficult and risky. Even increased advisory missions would not be casualty free — just last month four Air Force Special Operations Command-affiliated airmen died in Djibouti when their aircraft crashed, possible returning from a clandestine mission to Central Africa. Escalating US involvement in the conflict will mean more dead Americans. Invisible Children refuses to acknowledge the risks and costs of the intervention they advocate. Indeed, IC’s founders seem to lack any understanding of the consequence of intervention. Posing with weapons and looking hard doesn’t make you informed; it’s the face of a war tourist. Injecting arms into unstable regions is almost never a good policy — as journalist C.J. Chivers has spend a career ably documenting, guns don’t have half lives. “Modern military rifles can be adapted by their owners to tasks and roles their manufacturers had not foreseen,” Chivers recently wrote, noting “how long [weapons] can last after they travel from state custody.” An AK-47 has a service life measured in decades: arming the Ugandan military will have long-term consequences that are impossible to predict, but are unlikely to be positive. In US military history “advisory missions” tend to either be outright lies or escalate into open combat commitments. “One of the biggest issues with a simplistic ‘Stop Kony’ message is that discussions of Navy SEALs [sic] or drone strikes are inevitable when patience runs out with Ugandan-led efforts,” Michael Wilkerson argued today in Foreign Policy. 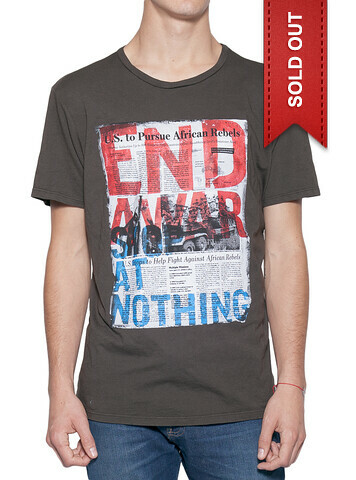 This danger isn’t a problem for the Kony 2012 campaign: escalation is its specific goal. Unless Invisible Children defines the upper end of “nothing” as napalm strikes and a full-scale ground invasion, I’m going assume that there’s some hyperbole here. Still, “stop at nothing” is not a rational approach to gauging the value of US intervention; it’s an explicit commitment tying US credibility to Kony’s death no matter the cost. If the authors of the recent Senate resolution “ruling out a strategy of containment for a nuclear-armed Iran” are, to borrow Spencer Ackerman’s description, “too stupid to make foreign policy”, then so are the architects of the Kony 2012 campaign. Letting your enemy dictate your commitment level is a strategy should be left in the dustbin of LBJ’s war room. Invisible Children’s unquestioning belief in the United States’ ability to bring about a desired outcome through violence should be a red flag for liberals: we’ve been here before. Despite becoming frighteningly proficient at small unit unconventional jungle warfare, US special operations forces were unable to shift the balance in the jungles and rice paddies of Vietnam. Three decades later US Rangers and Delta force personnel were unable halt atrocities in Somalia: despite enjoying complete tactical superiority over their irregular foes, US forces were ordered into a conflict they fundamentally did not understand, were unable to apprehend warlord Mohamed Farrah Aidid, and generally made the situation in Somalia worse by prolonging the violence and destroying UN credibility in the country. While the effectiveness of US SOF have increased by leaps and bounds since 1993, it’s unlikely that JSOC and the CIA would be able to kill or capture Kony as easily as Invisible Children assumes. If we’ve learned anything over the last two decades, it’s that military solutions are never as quick and easy as their advocates assume. The US has rarely fought a war in the modern era that went according to plan. The advisory missions to Vietnam begun in the 1950s escalated to a war that killed over 50,000 Americans and nearly broke the US military. The Bush and Clinton administrations’ idealistic intervention in Somalia was an ill-conceived fiasco that Islamic militants still cite as evidence of the US’s fragility. The conflict in Afghanistan, hyped as a small war fought by special operations forces on horseback, devolved into a decade-long counterinsurgency that nearly everyone admits won’t end in a ‘victory’ anything near what its architects intended. The Obama administration’s war in Libya quickly escalated from the fiction of a no-fly zone to regime change, and only ended in Qaddafi’s blind luck capture and execution. Drone strikes targeting AQAP and al-Shabaab have become an open-ended and locally-inflammatory bombing campaign over two countries. Unconventional wars are risky and difficult. Why should operations against the LRA be any different? Unless Invisible Children can explain why, their advocacy for US intervention doesn’t deserve an audience. Just because a cause is fashionable doesn’t make it wise. Invisible Children’s efforts to raise awareness is laudable, but its faith in military solutions isn’t. The Kony 2012 campaign is a good way to get Americans killed in a quixotic, ill-conceived war with no bearing on US interests. Updated to include photo credit.